One cannot receive, believe and understand Christmas in a day or a month. It is a lifelong quest. 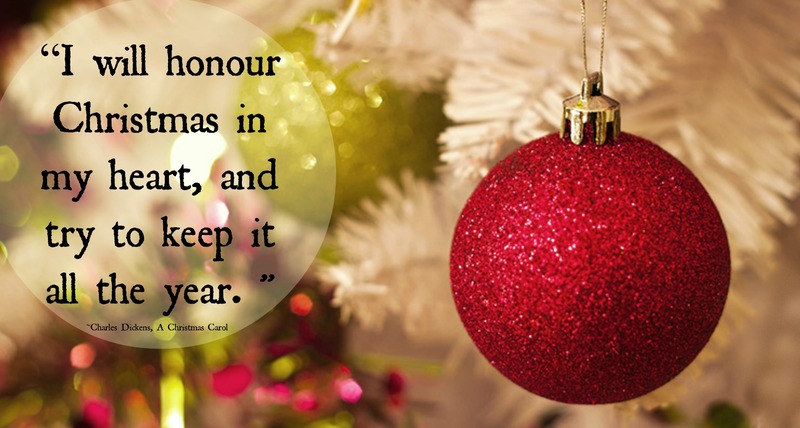 Dickens said, “ I will honor Christmas in my heart, and try to keep it all the year.” The key word is “keep”. Peter Marshall said, “Let’s not spend or observe Christmas. We must keep it.” Keep the humility, the generosity, gentleness, the servant attitude, the reverence for others, the awe that God loved us so much he gifted us with his son. If each day we dress ourselves in those attributes, along with our clothing, we will be able to receive, believe and understand. Action Excerpt: Watch the Grinch That Stole Christmas. Dear God, Thank you for your gift of your son. No gift we will could ever give would match your generosity. Help us to hold tight to the true meaning of Christmas and not get lost in the wrapping paper. Give us the desire to challenge ourselves to give the real gifts of love, kindness and goodwill on Christmas and every day. Leaning into the real spirit, Amen.